There's nothing quite so useless as a paperweight. Just a heavy object to take up space, right? But a pattern weight - well that's a whole other story. I had seen this idea a while back and wanted to make some for myself. 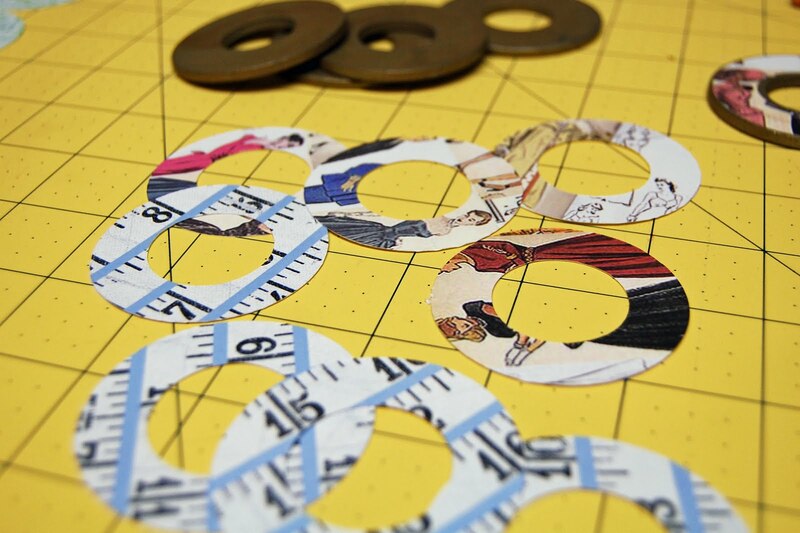 Pattern weights are used to hold pattern pieces down on your fabric so pins are not necessary. 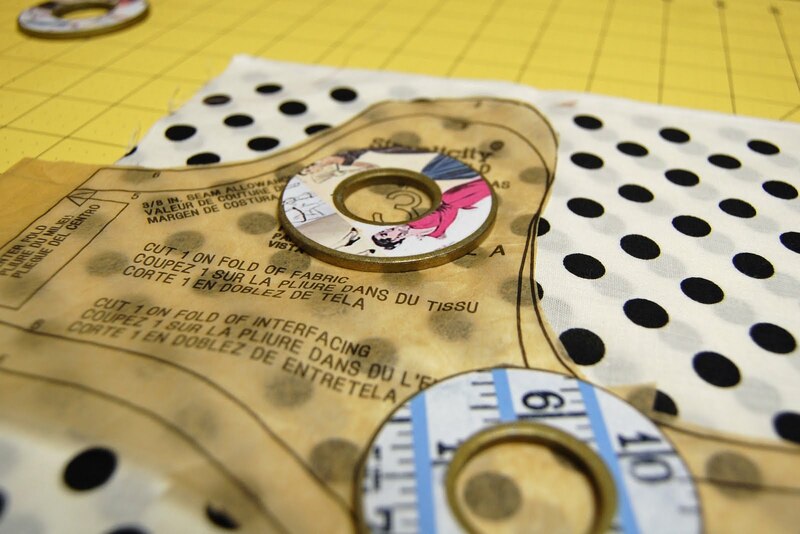 They're also really handy to use to hold your fabric down nice and securely when using a rotary cutter. 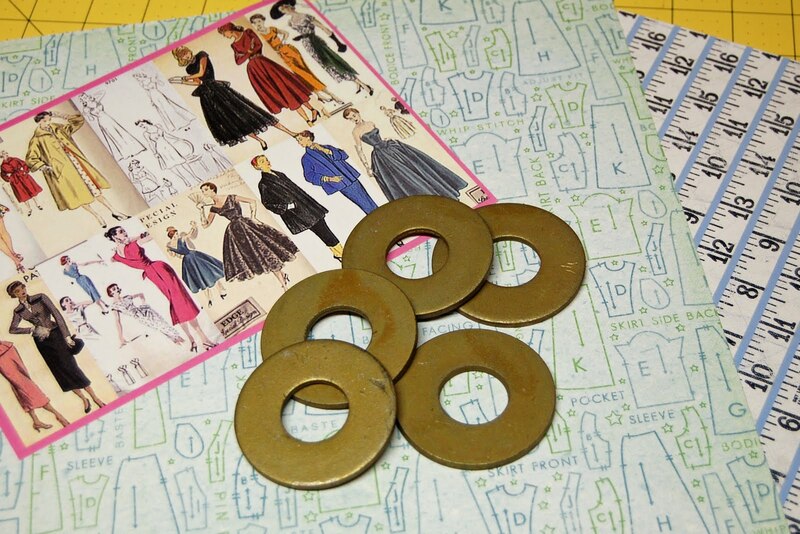 I suppose they could be made out of any small heavy object, but I chose to use washers from my local hardware store. -Washers - I used 2 1/4 inch washers. I can't tell you what kind they are, I just picked out the heaviest ones I could find from my hardware store. I cut out circles using a scrapbooking tool, but you could easily just trace the washer and cut your paper slightly smaller. 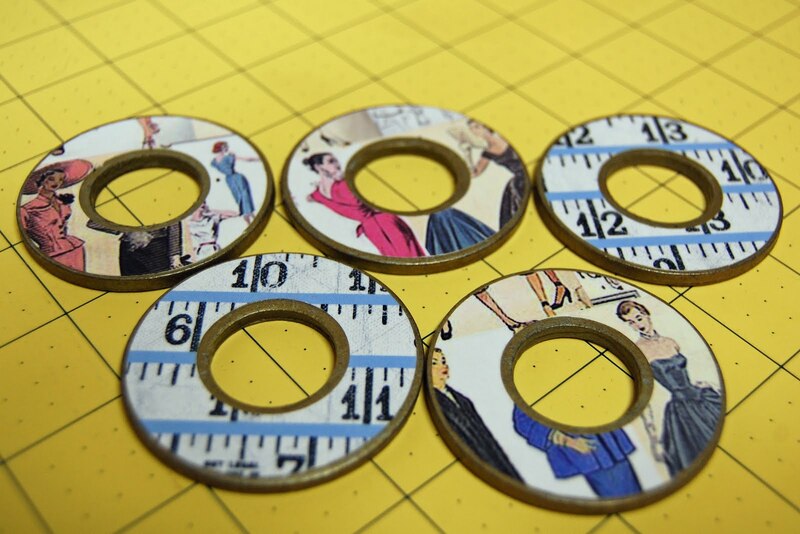 I cut out enough to cover both the top and bottom of each washer. 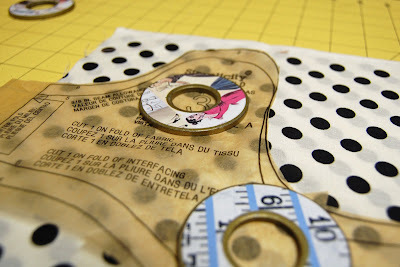 Then you simply need to apply the paper to your washer with the decoupage glue. I finished them off with two top coats of glue as well to seal them. I liked the gold color of my washers but you could always paint them in addition to or instead of decorating them with paper. Just wait for them to dry and you're ready to go! 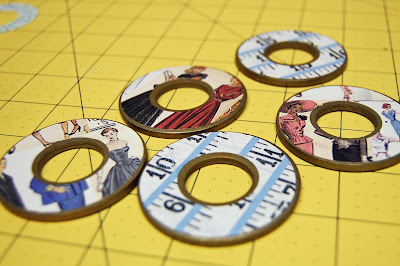 These are the cutest pattern weights ever! I'll be making some of these and linking as well. Thanks so much! These are so adorable! Thank you for the tutorial. 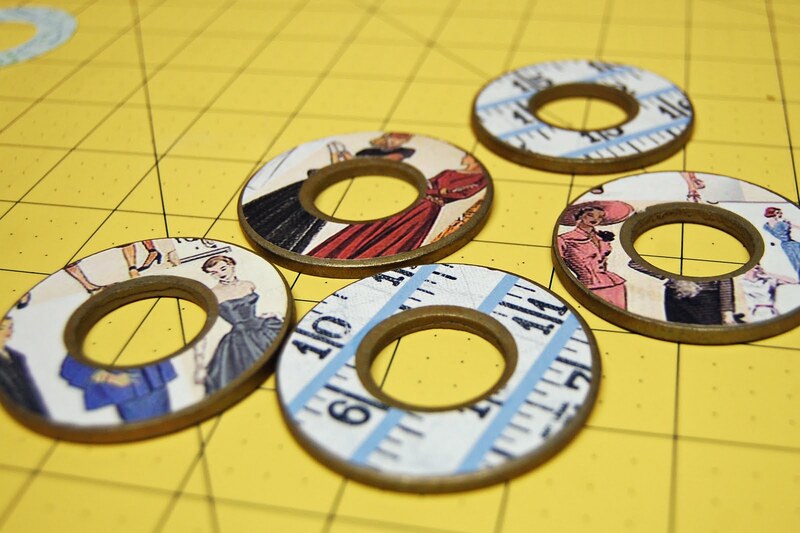 These would make such a great gift for a seamster. These are great! I just got some washers to make myself a set, tried them out and I am in love. 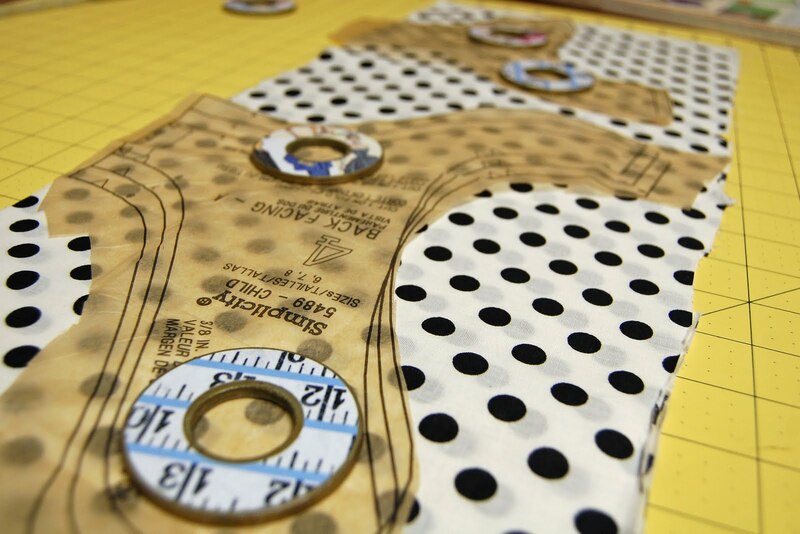 Think I'll make some as Christmas gifts for my sewing friends. Thanks so much. Love reading your posts...I feel like you have the sense of humor I wish I had! These are fabulous! It's such a clever idea. 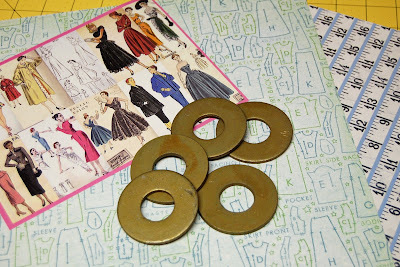 I'm going to have to go to the hardware store to get some washers to make some this weekend! Can I ask what the papers are that you used? They are so cute and absolutely perfect! Very very clever..I will try this. Thank you kindly for the tutorial. I love this idea! Please tell me the name of the tool you used to cut the paper. Thanks! Im doing this later today. This is so awesome. Thank you.